Cavalry is a cutting-edge issue management firm that combines the experience of serving at the highest levels of the U.S. federal government with proven, presidential-level campaign capabilities. Cavalry’s leadership has won the toughest battles in politics and has a unique understanding of what it takes to be successful in today’s complex media environment. We serve a select list of Fortune 500, trade association, political and non-profit clients who receive the full breadth of customized solutions. Our discerning approach to client selection allows Cavalry to provide an unprecedented commitment to individual client success. We provide strategic consultation, message development, media production, image management, digital engagement, crisis communications and full campaign management. In short, we’re invested in the success of our clients and we make their fight, our fight. 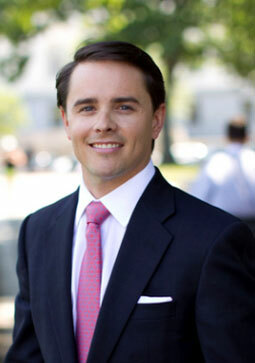 Josh Holmes is a proven political strategist and communicator with more than a decade of campaign and Capitol Hill experience, including serving as Chief of Staff to U.S. Senator Mitch McConnell. He managed McConnell’s 2014 re-election campaign, which was hailed by numerous pundits and publications as one of the best in modern history. 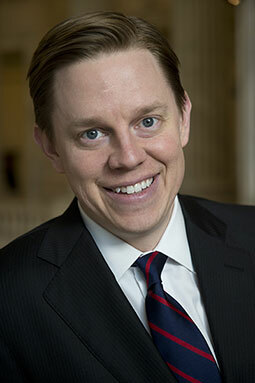 Noted political observer Charlie Cook called the campaign “flawless.” In addition to the McConnell campaign, Holmes advised the National Republican Senatorial Committee during their successful effort to regain the Majority during the ‘14 election cycle. In the three years leading up to the campaign, Holmes served as Chief of Staff to McConnell. He was initially hired to help create the Senate Republican Communications Center in 2007, immediately after McConnell was elected Republican Leader. Roll Call noted that under Holmes’ leadership, “the organization has become an integral part of the GOP’s successes.” Holmes was key in helping the Communications Center gain prominence for their successful branding and marketing efforts during the Obamacare debate. His infamous “Cornhusker Kickback” and the “Repeal and Replace” mantra became the Republican branding of the law for more than four years. Earlier in his career, Holmes worked on several U.S. Senate campaigns including Senator Norm Coleman’s successful 2002 bid, McConnell’s 2008 reelection, and Senator Rand Paul’s 2010 victory. He also worked for Ken Mehlman at the Republican National Committee as the deputy national press secretary and director of rapid response. Holmes has been featured on Fox News Sunday as a “Power Player of the Week,” and the Washington Post named him one of the “10 Staffers to Watch” in the 112th Congress. He was perennially listed on the “Roll Call Fabulous 50” for influential staff on Capitol Hill, and featured in POLITICO’s “50 Politicos To Watch” in 2011. He is a native of Minnetonka, Minnesota, and a graduate of Arizona State University. He currently resides in Washington, D.C., with his wife Blair Latoff Holmes. 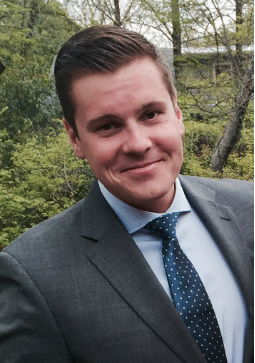 Ashbrook is a public affairs strategist with expertise in messaging and a track record of success in politics and government. He has provided strategic guidance to leaders at the highest levels and was recently praised by Majority Leader Mitch McConnell as “instrumental to winning” the new majority for Senate Republicans. A tested veteran of campaign politics, Ashbrook has provided messaging expertise to successful campaigns around the country including work with Sen. Mitch McConnell in 2008 & 2014, Sen. Rand Paul in 2010, Sen. Jeff Flake in 2012 and others. John began his career with then-Rep. Rob Portman of Ohio and also did a stint with the House Republican Conference. He is a native of Cincinnati, Ohio and has a business degree from Miami University. He and his wife Kate have three daughters. Michael Duncan is a digital media expert who is responsible for leading successful online efforts for some of the most sophisticated corporate and political campaigns in modern history. Most recently, Duncan led a digital team in Israel for the re-election of Prime Minister Benjamin Netanyahu. Bloomberg heralded Duncan’s work for “bringing American tactics to Israel’s race,” to help Prime Minister Netanyahu secure a surprise comeback victory. Michael previously served as Vice President of the digital consulting firm Harris Media, working with numerous national nonprofits, political action committees, trade associations, and energy industry clients. Prior to his work at Harris Media, Duncan managed digital strategy at FreedomWorks, one of the largest grassroots organizations in America. Additionally, he was responsible for online fundraising at FreedomWorks for America, the organization’s SuperPAC which supported dozens of candidates in 2012. During his tenure, FreedomWorks for America executed one of the most successful small donor SuperPAC efforts in the 2012 cycle, raising over 35% of funds and over $4 million in unitemized contributions. A Hoosier native, Michael graduated from Indiana University with Bachelor’s degrees in Journalism and Political Science. He lives with his wife Katie in Falls Church, Virginia. “I think the early signs we’ve seen, from them activating a small dollar online plan coupled with the rollout of the microsite, tells me that the Donald Trump campaign is getting its footing,” said Michael Duncan, a partner at Cavalry, LLC, a political consultancy, who directed digital strategy for Senate Majority Leader Mitch McConnell’s (R-Ky.) 2014 reelection bid. “I’m hopeful that it’s the first of many steps towards building out a more sophisticated digital operation,” he said. Josh joined Fox News’ “Outnumbered” as the #OneLuckyGuy on Friday, June 23. Watch now! Fw people disagree with this assessment: Josh Holmes, John Ashbrook and Michael Duncan had the best election cycle of any shop in D.C. Cavalry advised a number of Senate candidates, but its biggest triumph was directing freshman Indiana GOP Sen. Todd Young’s methodical takedown of Democratic former Sen. Evan Bayh, one of the most celebrated political figures in the Hoosier State. We're ready to start working for you.